Courtesy of BUSTAMANTE REAL ESTATE INC.
Masterful Design! 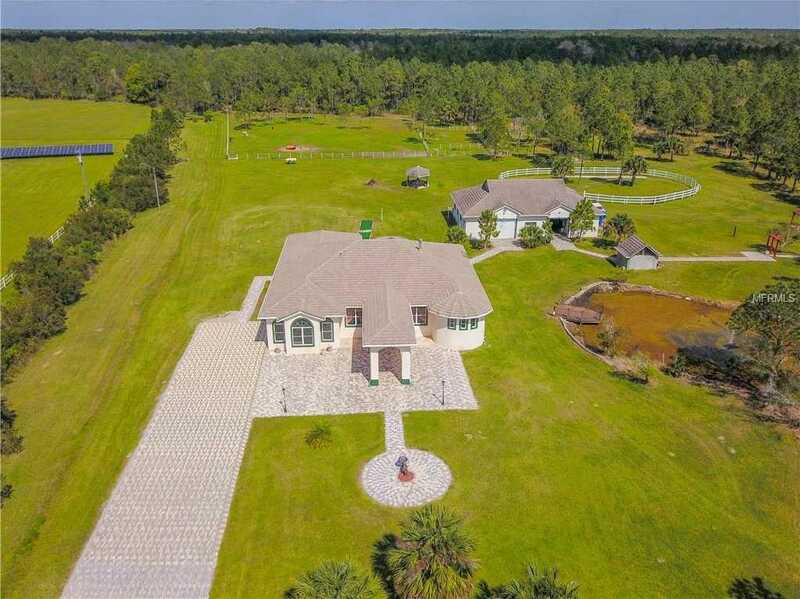 This luxurious 5 bedroom, 3 bath estate is located in the gated community of Ashby Cove & boasts over 10 acres of land. Spanning over 4,000 sq. ft..This magnificent country living residence is graced by soaring high ceilings & wall-to-wall windows is a haven for gazing at impeccable views such as natural preserves, hiking horse trails on property, & water views from multiple vantage points. Drive up the paved driveway & enter the grand entryway w/glass panel doors. The grand living room, accompanied by the formal dining room, offers a voluminous layout made for entertaining guests. Features include, marble Greek columns, custom top shelving, modern marble flooring, & designer paint throughout. Keep cozy by the inviting & warm fireplace. Tremendous chef’s kitchen offers, granite countertops, island, breakfast bar, built-in wall shelving, & kitchen appliances. All baths come w/an elegant bathroom tub & furniture d 233;cor. The divine master suite presents 17×16 living space w/carpet flooring, tray ceilings, his & hers closets, separate glass shower, modish soaking tub, toilet room, & dual sinks. A mother-in-law suite is included with 2 bedrooms, 1 bath & a living room area. Enjoy the outdoors in the covered patio. The well-kept barn house includes 6 stables & lighting. Enjoy the wildlife by the wooded deck & water fountain pond. 15 mins from New Smyrna Beach & Sanford Airport. 5-10 mins from shopping centers & golf course. Save up to $1,000 in taxes p/yr if you are going to live in the home.